KIM LAWTON, correspondent: This is not something you might expect at the historic 6th & I Synagogue in Washington, DC—a full-out reggae jam session. But Matisyahu, the Hasidic Jewish musician, is anything but expected. Matthew Miller, better known by his Hebrew stage name Matisyahu, burst onto the music scene in 2004 as something of a novelty: an observant Orthodox Jew who sang reggae songs about his faith. 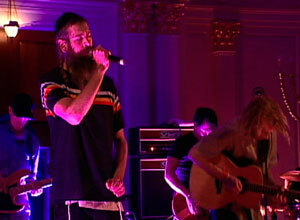 But now, with a Grammy nomination and two gold albums, Matisyahu has earned critical acclaim as well. He says his music is a reflection of his spirituality. MATISYAHU: My life is not separate from my music, you know? It’s not like a day job that I leave and go home. It’s who I am as a person and how I am trying to grow, come closer to God, be a better person. LAWTON: The 30-year-old Matisyahu’s spiritual journey has evolved dramatically. He was raised in New York in a largely secular Jewish family. He says his first real interaction with spirituality came through the music of Jamaican reggae legend Bob Marley. MATISYAHU: Hearing all the references to the Old Testament and to Judaism in the context of reggae music. Why is Bob Marley singing, taking all these quotes from the Psalms? I know that I’m Jewish. I know I have some kind of connection with that, Psalms and Old Testament, and it made me intrigued to start to get interested in my heritage. LAWTON: He went on a study trip to Israel when he was in high school, which further piqued his interest in his Jewish heritage. MATISYAHU: You grew up with one strain of Judaism, and then you see all around you so many different types of Jews relating to Judaism in different ways. But Judaism is at the core of it all. LAWTON: But he was also interested in rock music and the drugs that can go with that scene. He says from the time he was 16 until he was 22, he pursued what he considered the transcendent, almost spiritual experience of being high. MATISYAHU: I got to a certain point I think where I felt very stuck and very like unable to get to that place, you know, to get back to that experience, and I knew that it had to be done without any crutch or any substances and drugs or anything like that. I really felt that the way to do it was to really delve into my spiritual tradition. LAWTON: He discovered Shlomo Carlebach, the so-called “Singing Rabbi,” who incorporated music with Orthodox Jewish beliefs, and he got involved with the Hasidic Chabad-Lubavitch movement. Not only got involved, he says, but jumped into it full force. 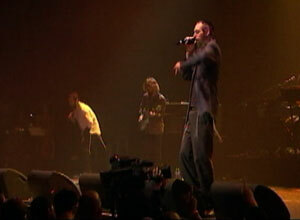 MATISYAHU: And I got really excited about being Jewish, you know? I started wearing a yarmulke, and I loved like all of a sudden the fact that I had this identity. LAWTON: Matisyahu moved to Crown Heights, Brooklyn, where the Chabad-Lubavitch movement is headquartered, and he entered a yeshiva, where he spent his weekdays in intensive study of the Torah. He says he was inspired by the beauty he found in the text. MATISYAHU: All of my creativity was kind of like festering and bubbling, and then on Friday I would go and I would just basically take one of those lines, one of those ideas, and try to develop a song around it, with a vision. While his music career was taking off, he says he felt increasingly restricted by some of the Chabad beliefs and lifestyle. Matisyahu eventually left Chabad, although he still identifies himself as Hasidic. He says he values much from his time with the movement. MATISYAHU: It was an interesting experience for me, because in some ways it was very—there was a lot of light. It was very purifying. I really was able to get past a lot of the things that I hadn’t been able to get past before. LAWTON: But he says it was also a dark experience for him. MATISYAHU: The line of where you draw when you are trying to kind of lose yourself as to where it’s healthy and where you start to become schizophrenic, or totally lose your mind almost, you know? And I was really walking that line. 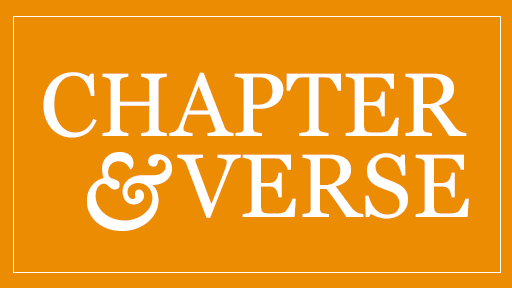 LAWTON: He says a Jewish therapist, who became a mentor, friend, and co-writer, helped him start to rethink everything he had taken as ultimate truth. MATISYAHU: I began to reevaluate all the decisions I had made and to reemerge, to kind of bring myself back into the picture and make decisions for myself based on what seemed right and what was wrong. LAWTON: He says his spirituality today is focused not on finding the right answers, but rather on figuring out the right questions. He compares his faith to a romantic relationship. MATISYAHU: God love-hate relationship, you know? You’ve been through something with somebody, and you have difficulties and problems and you don’t understand each other and you try to work through it. That’s more what my relationship with Judaism developed into versus the first was total blind devotion, just falling in love with it. LAWTON: Matisyahu no longer performs in the hat and coat of Chabad, but he still wears his yarmulke and the visible tzit tzit, the fringes from his prayer garments. While on tour he continues to keeps kosher and doesn’t perform on the Sabbath. His music is still an outgrowth of his spirituality, but his lyrics are less religiously overt. He put together his new CD, Light, after two years of studying the writings of Rabbi Nachman of Breslov, an influential 18th-century Hasidic sage. Matisyahu says all the lyrics on the CD are infused with ideas taken from Nachman’s stories. The CD’s theme of light is taken from Jewish mysticism and the Kabbalah teaching that when God created the world, he withdrew the light from the center of his being. MATISYAHU: And then he created this sort of void, or this empty space within, and then the worlds basically exist inside of that empty space, and the light is surrounding it all on the outside. The idea is not to totally get lost in that darkness, but to be rooted in it with the sense that there is, above all of it there is this sort of surrounding light. LAWTON: Despite the mystical allusions, Matisyahu tries to make his music accessible to a mainstream audience. NBC is featuring his hit single, “One Day,” an anthem of hope and peace, in its ad campaign for the upcoming Winter Olympics. Matisyahu says music remains a profoundly spiritual experience for him, and that’s what he tries to create for others. MATISYAHU: I see like the potential to continue to grow so much, to try to create this experience that people can really tap into something authentic, whether it’s a deep place within themselves or whether it’s God or something bigger than themselves.